While we understand that straws make drinking from your to-go cups easier and your cocktails more fun, eliminating straws from your life is a simple step towards living more sustainably. 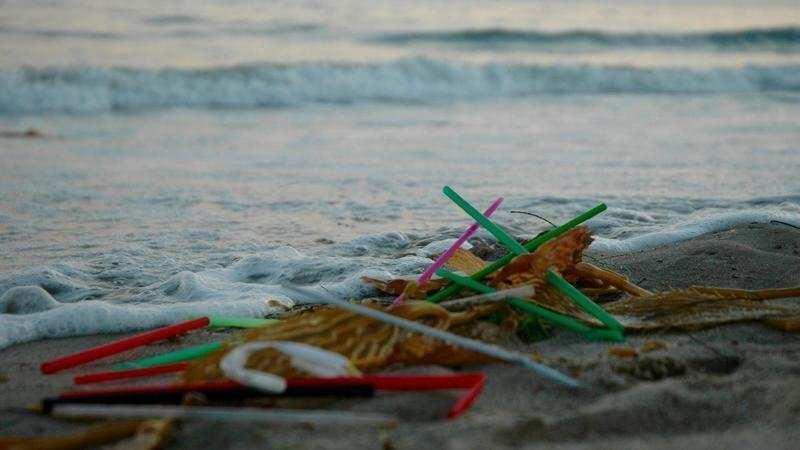 Cities such as Seattle, New York City, Delray Beach, and states like California are already putting legislation in place to ban plastic straws. The European Union has even gone as far as to propose a completely ban on all single use plastic utensils. With more and more news of plastic straw bans around the country, some of you may be wondering why. While everyone knows that all single use plastic is harmful for the environment, straws pose an even greater threat; since they’re so light they can’t be recycled. Because of this, straws often end up in the ocean from littering or simply getting blown out of trash cans. According to Fortune, billions (maybe even tens of billions) of straws end up in the ocean each year. What most people don’t realize is that this small piece of plastic is among the top 10 items found during beach cleanups. As discussed in a previous blog post, this poses a serious issue for the oceans and beaches we care so deeply about. This plastic ends up littering our beaches, breaking down into small fragments in the ocean, or getting ingested by marine creatures. Growing up on the beach, and experiencing beach litter and ocean plastic first hand, it’s our mission to protect these places we love from plastic waste -- and other organizations are also helping the cause. Strawless Ocean is an organization that works to spread awareness about the harm that straws cause to the environment and support campaigns to ban straws around the country. At the moment they have a social media campaign going titled #StopSucking along with alot of information on different alternatives to plastic straws. Don’t sacrifice the health of our oceans for convenience and join the Fair Harbor team to #SeasTheDay and #StopSucking.